Have you ever loved a band so much that you wanted to follow them across the country? Has the thought of spending an entire summer going to music festivals ever crossed your mind? Are you always seeking out live music when you travel to a new city? If you answered yes to any of these questions, you’re just like us. We’ve both been around music our entire lives, whether playing it ourselves or following around the bands we love. In addition to being in the crowd, we’ve also worked at dozens of shows and festivals throughout the years. As a matter of fact, we met at the first ever Rothbury festival in 2008 where we were both working for the same company. After Sasha’s first stint in China, we started dating on summer tour the next year, when we hit four festivals and thirteen Phish shows all across the US. Speaking of Phish, we even went ahead and got engaged at their New Year’s Eve concert in 2014. Yeah, we like live music just a little. 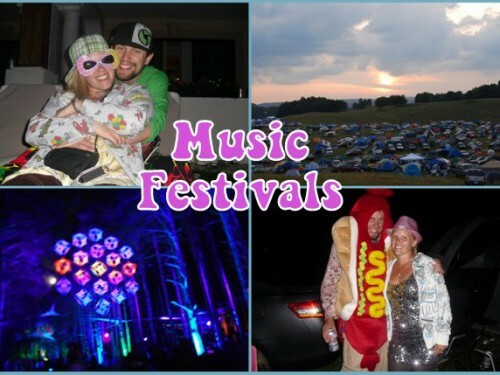 Home sweet home – music festivals! Music and travel are our two biggest passions in life, and we love nothing more than combining them, whether it be raging on the beach at Holidaze or jetting off to Tokyo just to catch a show. Through this section of the site, you can read about our experiences going to thousands of concerts and music festivals and seeking out live music when traveling in our mini-series called “Streets, Beats & Eats.” So quit your job, cancel your haircut, and grab your malnourished dog – it’s time to go on tour! Between the two of us, we’ve probably been to over 1,000 concerts. Sasha has even seen the same band over 100 times (Umphrey’s McGee). Live music is our passion and is an important part of our lives. Whether we’re back in the States visiting a new city or gallivanting around SE Asia, we’re always looking for live music. We even got engaged at a Phish New Year’s Eve concert! 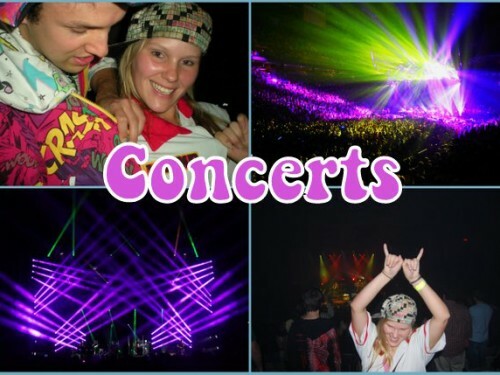 Read about our concert-going experiences here. Our journey together actually began at a music festival, when Sasha “proposed” to Rachel with a Ring Pop. We’ve been to plenty of other festivals together, in the US, China, and even at an all-inclusive resort in Mexico. Throughout the years, we’ve also worked at quite a few of them. 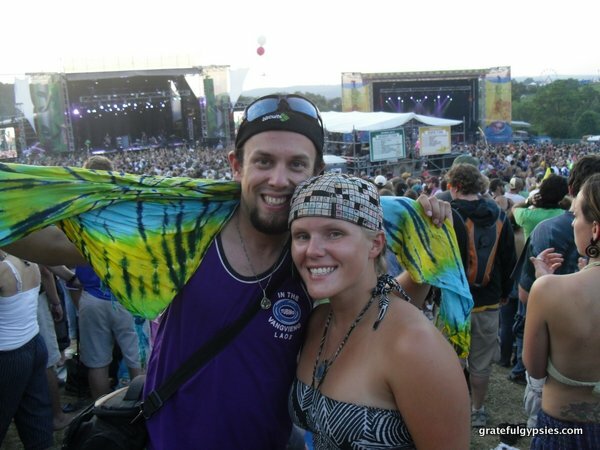 We basically spent the entire summer of 2009 living out of a tent, going from festival to festival. Dive into our festival experience and then get out there to hit a few yourself. 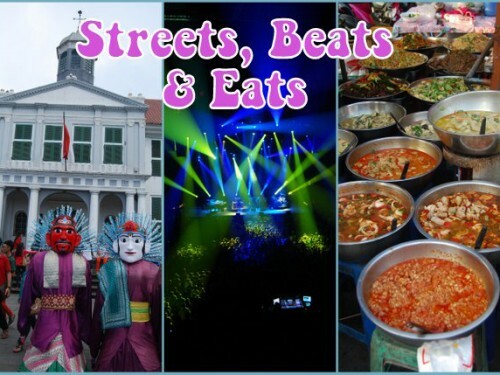 Explore the “Streets, Beats & Eats” of cities all over the world in our online travel video series. Each episode highlights a cool place to hang out, some mouth-watering local food, and of course a good dose of nightlife, spotlighting live music and fun bars. Jump on Phish tour in San Francisco, jam out to Chinese reggae in Beijing, get down at an art and music party in northern Thailand, and so much more.